With the invention of some high-end smartphones comprising of supreme quality features of the camera, each and every one is literally gripped with the euphoria of taking snaps. And of course, you also aren’t an exception. 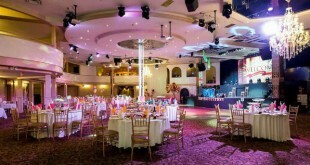 More so, when it comes to your wedding, which is once in a lifetime affair, you ought to try out new and unique ways of Photo shoots to take the excitement a notch higher. 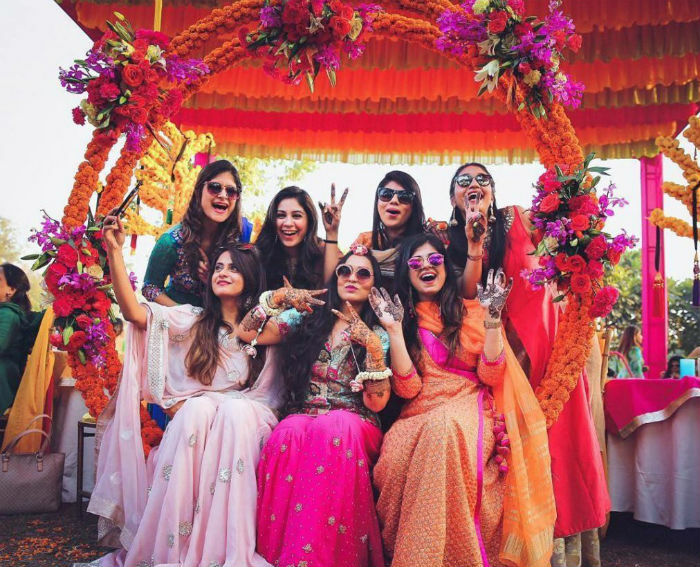 In this write-up, we bring to you some fun and exhilarating Photo shoot styles to shoot with your bridesmaids on your D-Day which you can look back on to relive the bygone moments. Has taking snaps with some quirky props like wigs, moustaches, hats, and glasses amongst others ever crossed your mind? No right? Well, you should thank us then for coming up with such a fascinating idea! 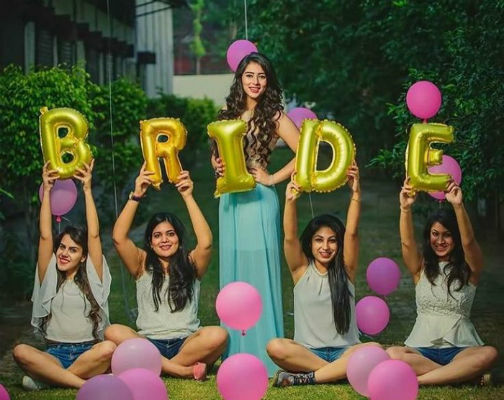 Try out this innovative style with your bridesmaids on the most significant day of your life, and we bet you’d enjoy it thoroughly. 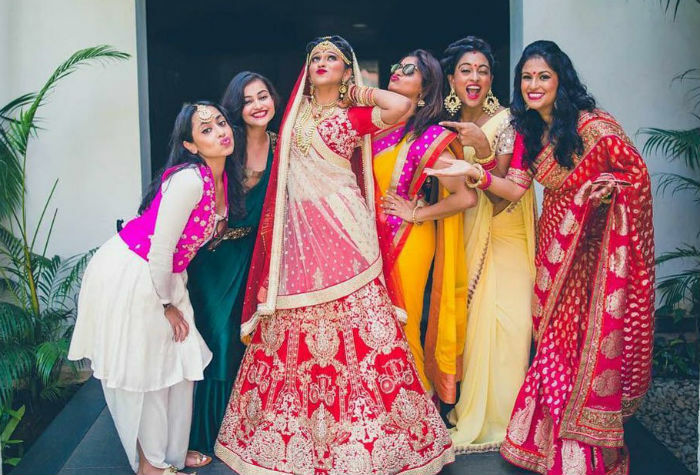 However, instead of going for the same prop for each one of you in the group, it’s recommended that the bride flaunts one sort, say a hat, while the bridesmaids another, like moustaches. Now this one is really adorable! 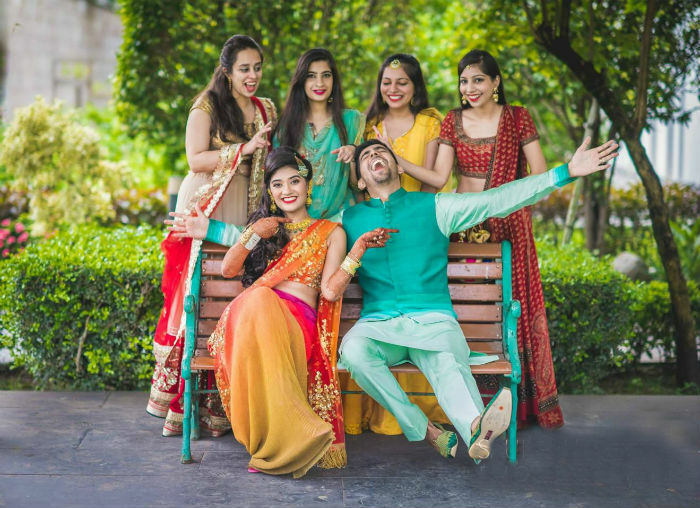 Make your bridesmaids strike a pose with the man himself! 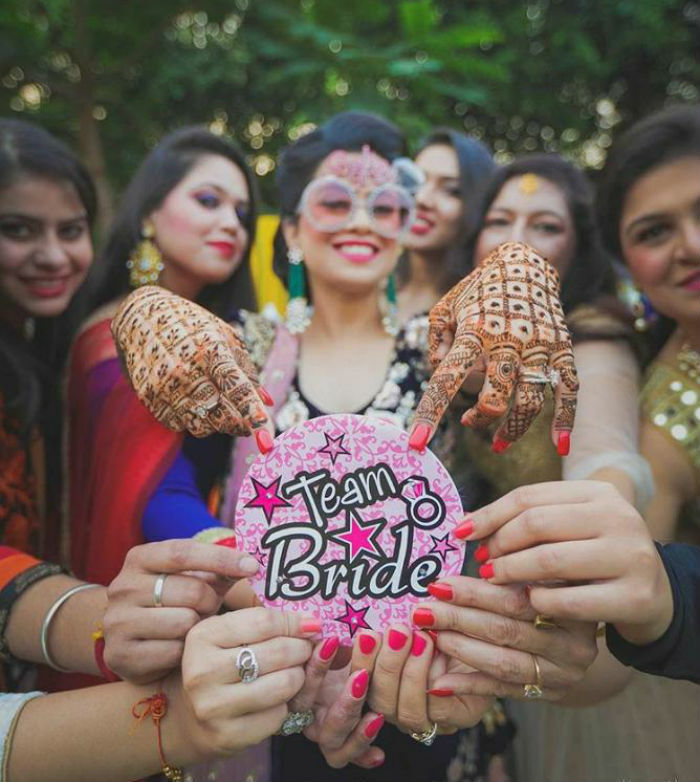 This holds a special significance if the bridal group comprises members of the bridegroom’s family too, for example the sisters. When the whole world is going berserk with the latest ‘pout’ fad, why’d you be left behind? Go bold by putting on a deep-red lipstick and say ch… no, not cheese! Say pooouuuuut! This Photo shoot style is such that it can incorporate the bridesmaids of all age groups. 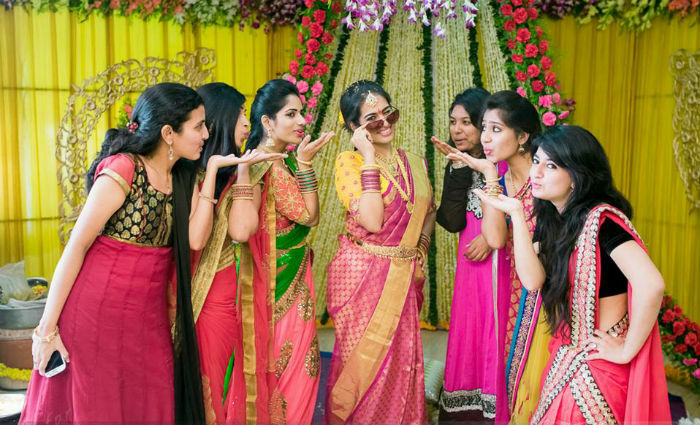 Strike a pretty, flying kiss pose towards the bride. 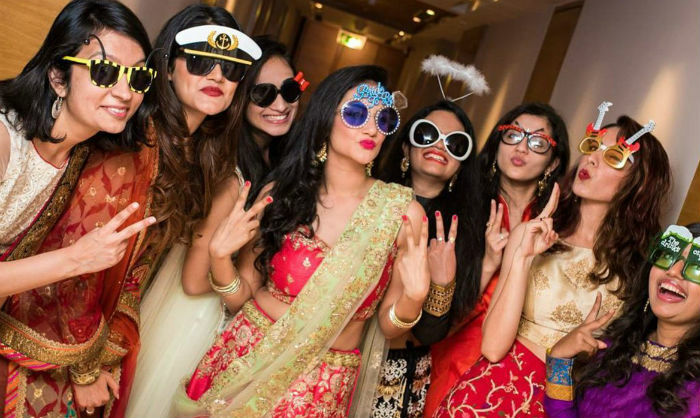 Make sure that its flying kiss only, else you’d end up smearing the bride’s face with colorful pecks all over! Standing in a line, this one’s an ideal way to show off the bridesmaids’ bouquets, lovely attires, and shoes. A girly thing, this Photo shoot style is apt for brides whose number of bridesmaids is limited to a few. 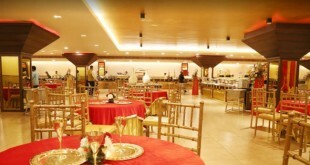 The wedding sites of a fair deal of countries come with swings on the grounds. Grab this opportunity and seize the moment in the camera! It’s time to shrug off your worries and just have fun with chalkboards. Along with these eight Photo shoot styles, if you’ve something else on your mind, you can try that out too. 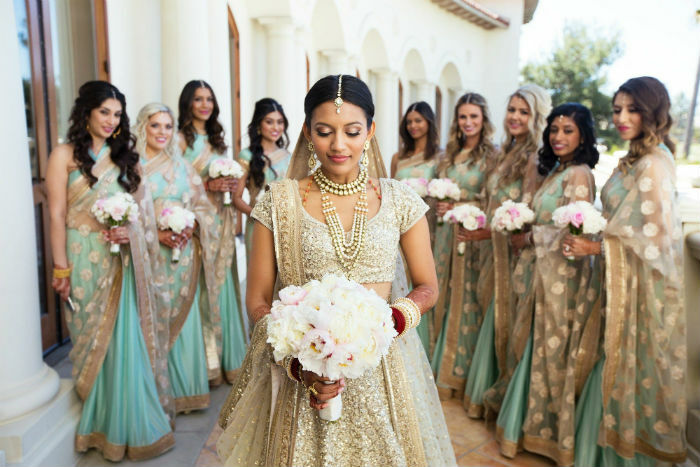 In fact not just Photo shoot, if you have any yearnings that you’ve been cherishing since a long time, your wedding would offer you that golden opportunity to fulfill them too!